Damian Leeding with wife Sonya. 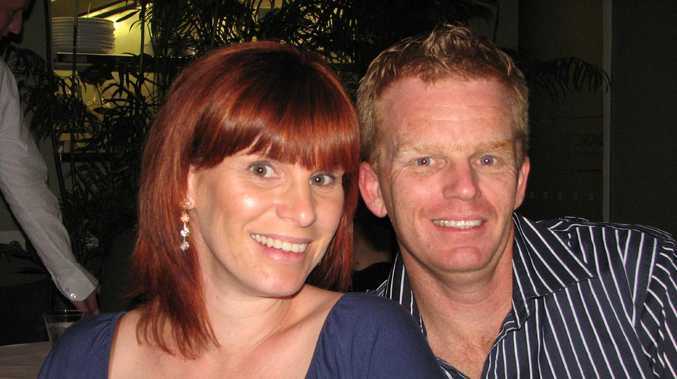 ONE of the evil trio involved in the killing of hero Gold Coast cop Damian Leeding will be freed from jail on parole this week, despite a desperate bid by the officer's shattered mum to keep the culprit behind bars. Detective Senior Constable Leeding was gunned down while bravely trying to foil an armed hold-up at the Pacific Pines Tavern on the northern Gold Coast in May 2011. 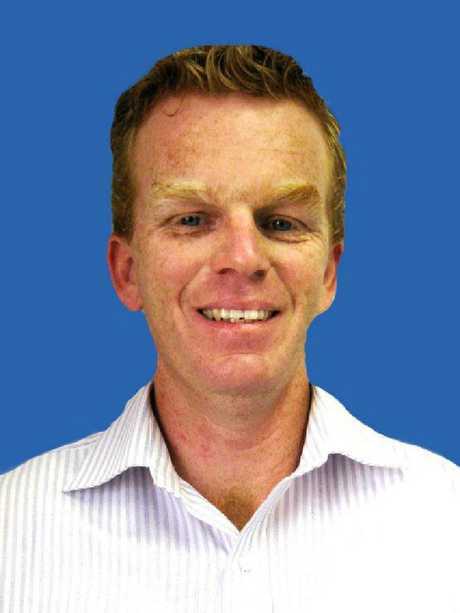 The highly-respected Coomera detective, a father of two young children, was shot in the face at point-blank range with a sawn-off shotgun after storming the tavern to confront the violent bandits. 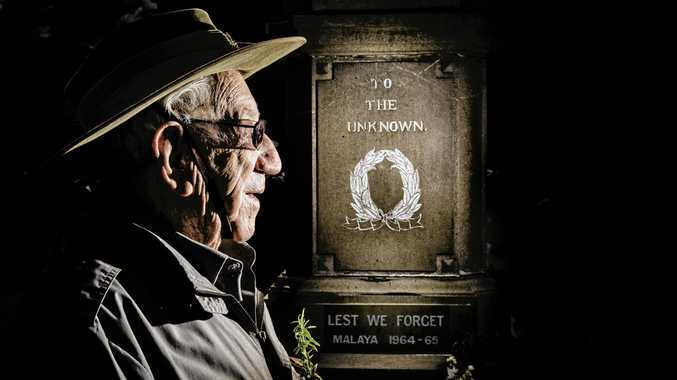 He died three days later in Gold Coast Hospital, aged just 35, in a crime that shocked the nation. The shooter, Phillip Graeme Abell, and co-accused Donna McAvoy, were sentenced to life imprisonment for Det Sen Const Leeding's murder. Another accomplice, Benjamin Ernest Power, was jailed for nine years for the officer's manslaughter and declared a serious violent offender. He became eligible for parole last August but Det Sen Const Leeding's mother, Julie Waters, strongly opposed Power's bid for freedom. Damian Leeding with his mother Julie Waters. She was notified of his parole application on her son's birthday in what she described as 'just another dagger through my heart'. 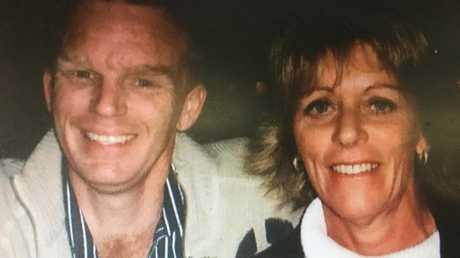 In a heartfelt letter to the Parole Board appealing for Power to be kept in jail, she told her how family had been 'shattered and broken' since her son's 'appalling and callous' murder. 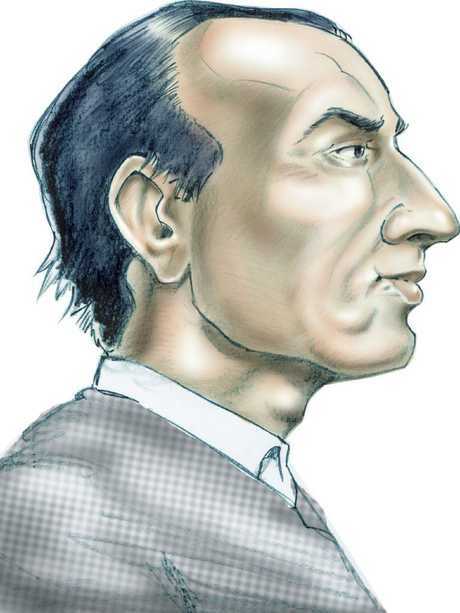 The murder of Damian Leeding shocked the nation. 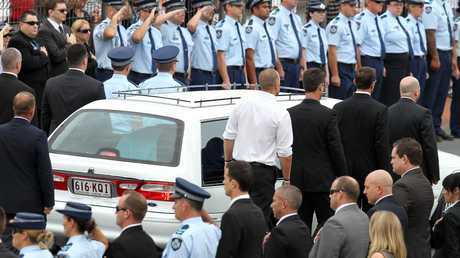 The funeral procession of police officers, family and members of the public lined the Gold Coast Highway. "The lives of my family changes forever the day we lost Damian and it's had a devastating impact on all of us," she said at the time. "I feel like I've been given a life sentence too. I can't believe he (Power) could be out of jail so soon and getting on with his life. Lucky him." 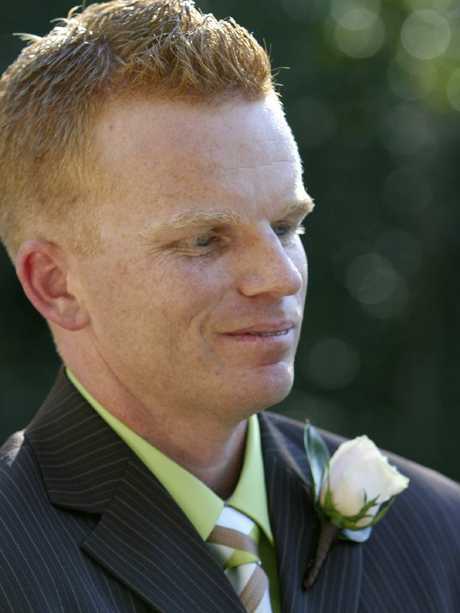 Detective Senior Constable Damian Leeding. Power failed in his first parole bid but was successful in his second application last month. He is due to be released on Tuesday. However, Ms Waters has fought for and won stringent parole conditions for Power. They include that he must wear an electronic tracking device and is also banned from parts of southeast Queensland where Ms Waters and her family members live. "I'd much rather he be rotting in jail than out in the community but at least some strict conditions have been imposed on him," she said. 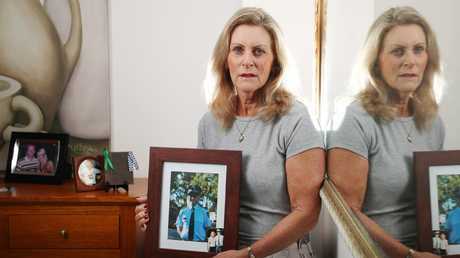 Julie Waters, mother of slain Gold Coast cop Damian Leeding, is devastated Benjamin Power will be freed.